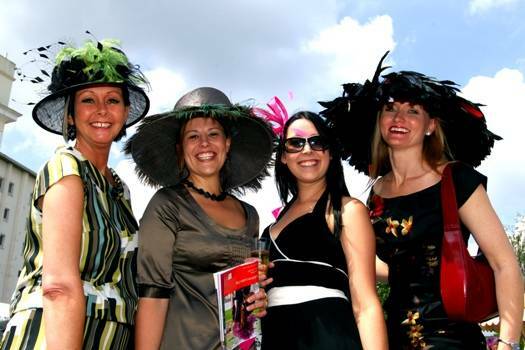 Ladies Day Sunday 20th July, presents the pinnacle of the social calendar and a chance to really dress to impress as you enjoy an afternoon of summer jumps racing. Best Dressed Couple and Best Hat competitions. Fabulous prizes are always kindly on offer & we give away a complimentary glass of Pimms to the first 200 ladies to enter the Club & Tattersalls enclosures. There is a Champagne & Pimms Bar and Chocolate Fountain available on the lawn throughout the afternoon whilst you relax and enjoy Ladies Day in style. Join us in 2014 for one of Warwickshire's most popular days out.